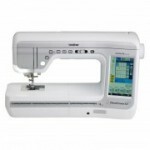 If you are looking for a sewing machine that is easy to use, pretty in pink; the NS15 is the perfect choice. 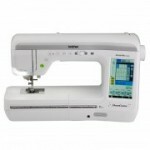 There are 16 stitches to choose from including 3 button hole styles to give your projects a professional looking finish. The jog dial offers easy stitch selection; turn to the stitch you require and the LCD displays information about the stitch width and length, what could be easier! 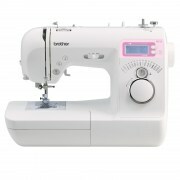 Needle threading is quick and easy with the built-in needle threader and in combination with the top loading bobbin you will be sewing in no time.